My friend and I share the same birthday (which was in May, we are running late!) and we decided to treat ourselves at Menchie’s Frozen Yogurt in Jame’s Center 1816 South Mildred Street, Tacoma. 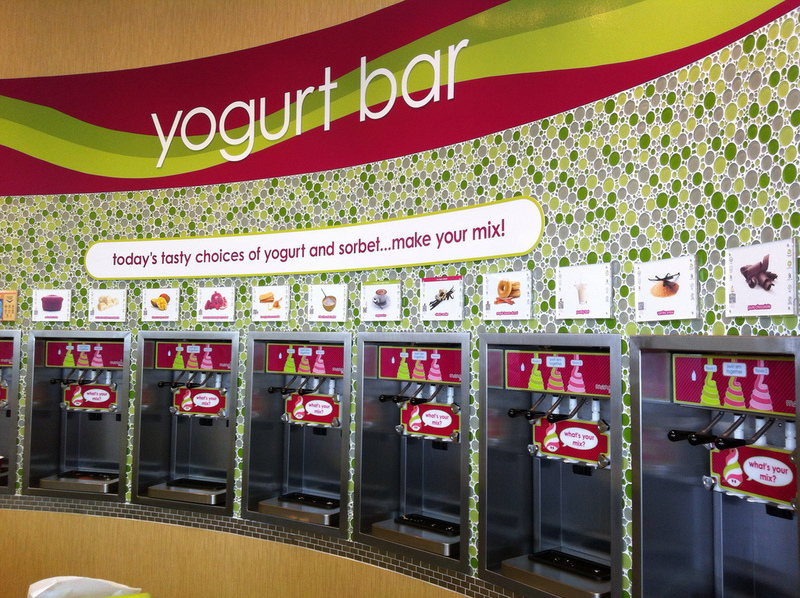 There are 14 flavors and plenty of toppings. Their Facebook Page is here. What is interesting to me is that the South Hill Menchie was my new place in April 2012. At that time they had 170 locations and now they have 237. In April 2012 Washington State had seven locations and now they have 19 with three more in the works. This entry was posted in Coffee Shops, cafes and bistros, Restaurants, Tacoma, Take Out, WA State - Pierce County and tagged expanding, James Center, Menchie's Frozen Yogurt, Menchies, Tacoma, treat on June 18, 2013 by admin.